Please be on the lookout for the Realt Dearg AHL7 winning trophy which was stolen from our possession on Saturday night in D2 Night Club. The image shows the cup being held by our winning caption Trevor Jackman (right) only hours before the theft took place. After 5 years of hard work it is devastating to have this taken from us so soon after receiving it. Realt Dearg would like the cup returned to our possession as soon as possible. The inaugural Real Dearg Railway cup was played in good spirits on the 25th of October in front of a small but vocal crowd. Teams lined out and the balance seemed in favour of Munster based on the split of players. This fact rallied the Leinster camp who came off the field of play at half time down with a scoreline of 1-4 to 3-3 in favour of Munster. The second half was and end to end display of fine hurling skills with and excellent long range score put over by Brian Chubba Gavin. Leinster did well but failed to convert the scores at critical times in the game. Full time recorded a score of 4-9 to 1-7 in favour of Munster. Celebrations began immediately although upon review were deemed premature (an affliction impacting many Munster players). An objection was lodged to the club Chairman (starting wing back for Leinster and he who has access to update the website). The object has been upheld in a closed door session and the result overturned in favour of Leinster. Congratulations to the Leinster contingent of Realt Dearg who will no doubt enjoy a well earned victory. On Saturday 25th October the inaugural Realt Dearg Railway Cup will take place in Drimnagh Castle. The talent of Munster vs Leinster (plus the stragglers) will be on display fighting for the win. It is expected to be a competitive match with well balanced sides. The Railway Cup event will be followed by the end of year social starting in Vaughans at 6.30pm with food to be served. Specific details on throw in times will follow shortly. Training on Monday the 19th of May will be held in the Pheonix park on the pitches located close to the old Magazine Fort. Please give yourself an extra few minutes to make sure you find the pitch in time. 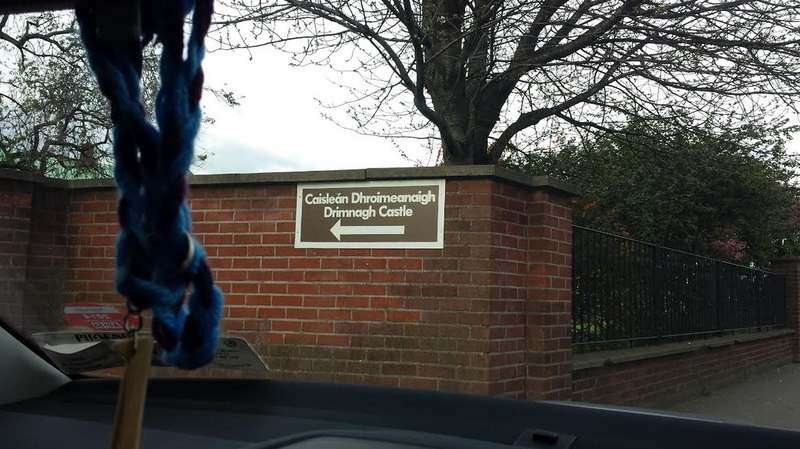 Directions when entering from the Heuston stations entrance - take the left at the roundabout just after the Wellington Monument. Continue straight on the Wellington Road until you meet a cross roads. Proceed straight through the cross roads and up the hill. Drive straight past the Magazine Fort (right hand side). Car parking is available to the right. Best of luck to both the A and B panel in matches against Thomas Davis and O'Tooles respectively. The A match will be in Kiltipper and the B's are away. Please see the map below for directions to the Blunden Drive pitch. Training is on Monday 14th in Stepaside at 8pm. Thursday we will be training in Drimnagh Castle at 7.15 sharp. Please see below map for directions. Enter by the gate pictured below and park behind the school towards the left. Best of luck to both teams in action this weekend. The B panel will take on St Oliver Plunketts E at 1pm in Pheonix Park (see below map). Meeting place and travel arrangments have been sent by email. The A panel will play against our near neighbour Faughs at 3pm in Kiltipper. All support for our lads very much welcome. The 2014 Championship draws have been release by the County Board and have produced some fixtures that will bring forth flying timber without doubt. 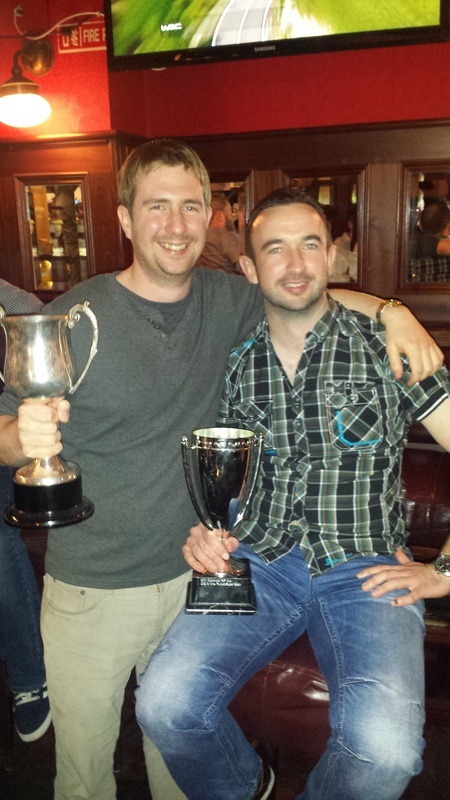 Cian O'Brien and Mike Butler are organising the inaugural 'no fault' night away for members of Realt Dearg. Everyone is invited and will be preceded by the Leinster league match. Its a club trip away so players lining out and the supporters club will hope to make it a memorable occasion ..
Réalt dearg wants you ! Haven't hurled in a while? 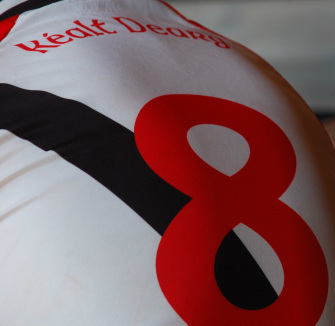 Réalt Dearg Hurling Club fielding 3 Junior Hurling sides in Dublin. Since being founded in November 2009 in Terenure we have gone from barely having 15 bodies to having two teams in cup, league, Leinster league and Championship in 2013. Now in 2014 we are introducing a third team for the first time and we’d like to think the rapid growth in playing numbers is a reflection of how enjoyable hurling with the club is. As this is our first year with three teams, there will ample opportunities for new players to get game time right from the start. The club has been very competitive in its first 4 years of competing (4 county championship semi finals & one league final defeat) and after several near misses there is a determination to go one better and capture the club’s first trophy this year. Traditionally in GAA there is a large drop off after minor and lads often live to regret this but find it hard to go back. We have a large number of players who, for whatever reason, put the hurleys away but never lost the love of the game. We would like to give those lads a route back into the game and also in the long term to establish ourselves as a part of the community in Terenure and the surrounding areas. We aim to get our teams up the divisions as fast as we can but also to always enter a team in Junior F for lads who have been out of hurling a while or for those who are taking up the sport for the first time. Most of the year we train in Terenure (Bushy Park or VEC ground), typically twice per week on weekday evenings. For the first few weeks training will take on a floodlit astro pitch in Stepaside. Training is started on Feb 10th but new players are welcome at any stage. We also have a couple of nights out scheduled early in the year to help welcome new players into the club. Training will commence from Monday the 10th of February in Stepaside All Weather pitch at 9pm. Please ensure that you are ready to take the field as training will start at 9.00 sharp to ensure we get the best from the session. Training on Thursday night will be under lights at the National Sports Campus in Blanchardstown. Training will start at 7pm sharp to ensure that we get the best from the session. Please ensure that you are ready to start on time. The pitch is at the back of the Aquatic Centre. Chaning rooms and showers are avialable onsite. The players meeting time has changed to 8.30pm in the Terenure Sports Club. All attendees are requested to arrive on time to ensure the meeting gets underway as scheduled. See map below for location. Walking from Vaughans towards the City Centre it is on the left hand side about 300 meters down. The challenge match scheduled for the 26th has been changed to the Thomas Davis all weather pitch. Throw in time has also changed to 12.30. Please be in dressing rooms at 12.00 at the latest.